It took more than a month of email exchanges, but my sister, two friends and I were finally able to see each other and stuff ourselves at Binondo, Manila’s Chinatown one afternoon. 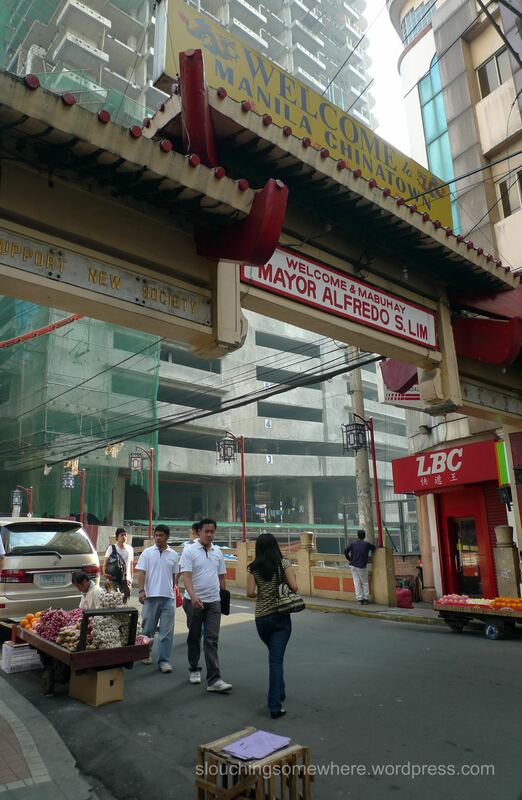 While my sister and I spent a large part of our childhood frequenting Binondo and nearby Divisoria and Escolta, we never really ate in many of Binondo’s restaurants back then (save for the Estero and one old resto my mom liked that was just between Escolta and Binondo). Welcome to Chinatown. Guard your bellies. That all changed years ago when some clever folks started offering food tours in the area (Ivan Man Dy is a favorite), pointing out where you can eat the best dumplings, where the Chinese residents eat, etc. As we were all a bit familiar with Chinatown and have done previous chowdowns separately, we decided to do our own food tour. From one resto to the other, we just went about sampling a little dimsum here, a little roasted duck there, so many little bites that still made for one gut-busting eating marathon. If shophouses could sing, the ones in Ann Siang Hill would be happily singing the West Side story ditty. 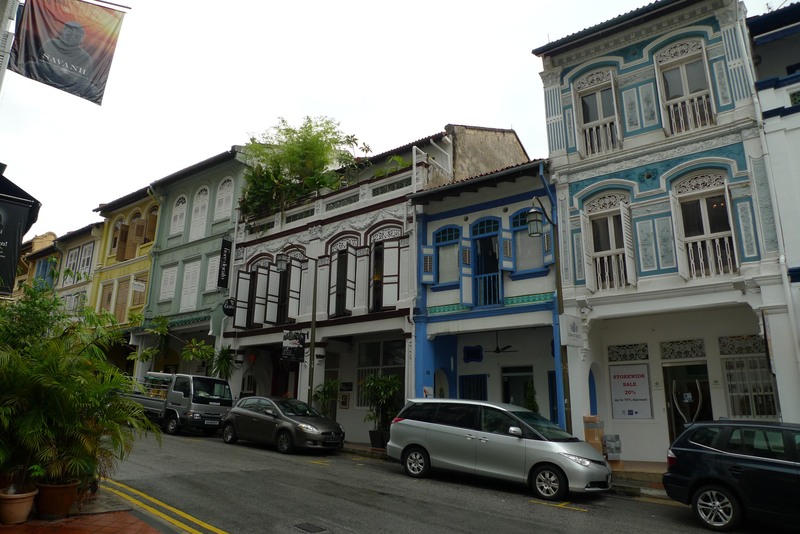 In this curvy, sloping road and the other nearby streets, many shophouses beautifully line the area. Fortunately, the day before we left Singapore, our three friends who were living and working there decided to take me and P to a walking tour around that part of Chinatown. According to a Singapore travel guide, most of the shophouses in this area used to be occupied by Chinese clan associations and groups. 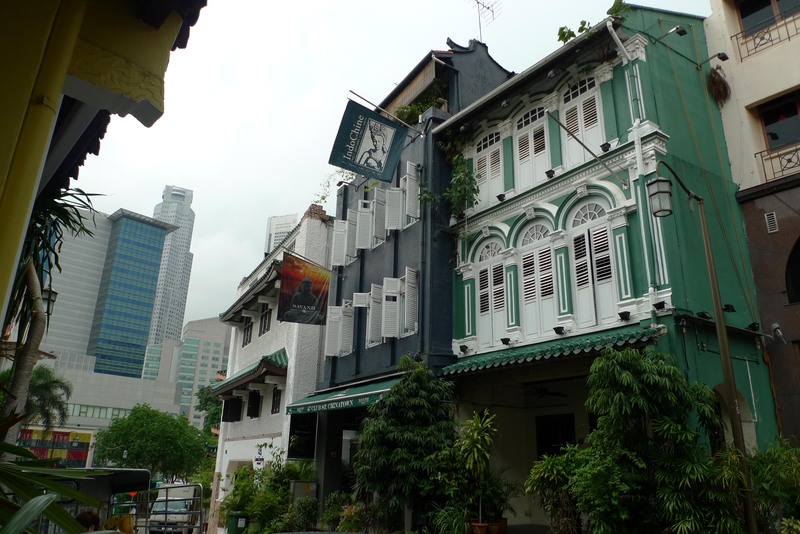 While some still remain, most of the shophouses we saw have been turned into chic boutiques, bars and restaurants. We went inside several shops and it was no surprise that inside such lovely shophouses were lovely things for sale–from Scandinavian furniture (in Style: Nordic) to books (The Picture Bookshop, Books Actually) to racks of knick-knacks you never thought you needed.